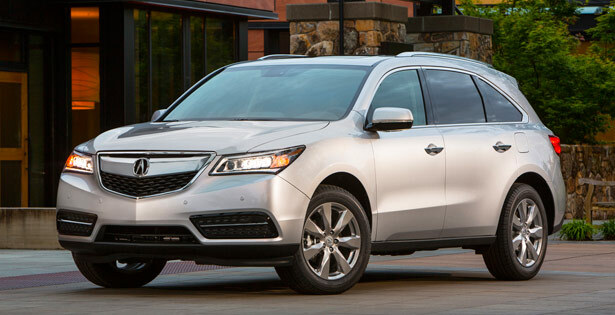 Acura’s hottest sellers, MDX luxury sport utility vehicle and RDX luxury crossover SUV, have won U.S. News & World Report’s 2014 awards with MDX taking the “Best Luxury 3-Row Midsize SUV For The Money” award and RDX winning the “Best Luxury Compact SUV For The Money” category. The “Best Cars for the Money” methodology combines quality and value data into a composite score. Within each of 21 award categories, the vehicle with the highest score is named the “Best Car for the Money” in that category. Quality is measured by the overall score a vehicle achieved in the U.S. News car rankings at the time the awards are published. The rankings, updated monthly at www.usnews.com/cars, compare cars on the basis of safety, reliability and a consensus of industry experts’ opinions. Value is measured by a combination of a vehicle’s five-year total cost of ownership and the average price paid for the vehicle at the time the awards are published.